NOTE: This is an example from the early days of ComicReply. 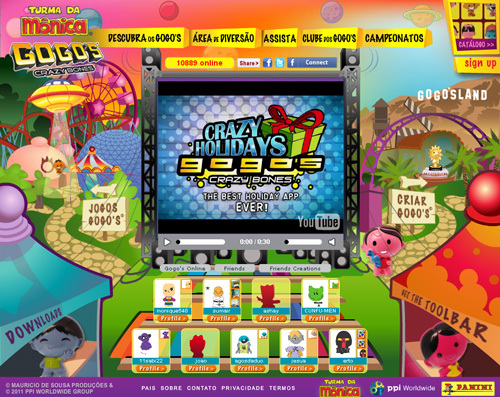 As part of developing the online experience for the brand, Giant Step also included creative contests using a customized early prototype. Gogo’s are branded figurines that kids collect, trade, and play games with. 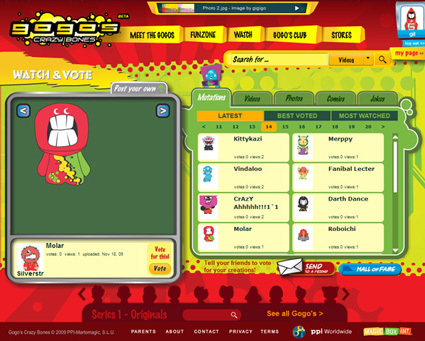 When a fan visits the site, the first thing they would like to do is create their own characters. So we created a character-making contest where the most-voted characters win prizes (using a YouTube-style gallery for viewing and voting). We created a comic-making contest, where fans can create comics using the branded characters with a mix of backgrounds, talking bubbles, etc. 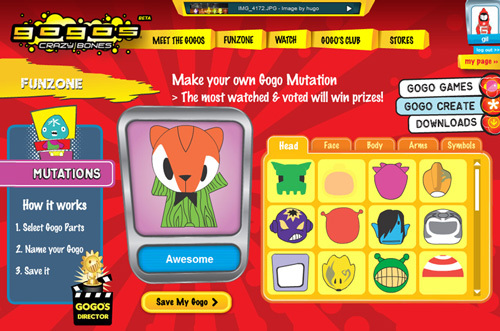 The most popular creations are always featured in the Hall of Fame, so fans can be a little ‘Gogo-Famous’ on the site. 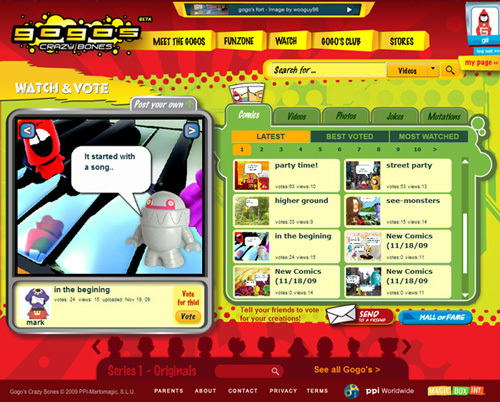 Fans worldwide created over a million visual entries (with tens of millions of views and votes). The project won international advertising and interactive awards and presented at conferences.